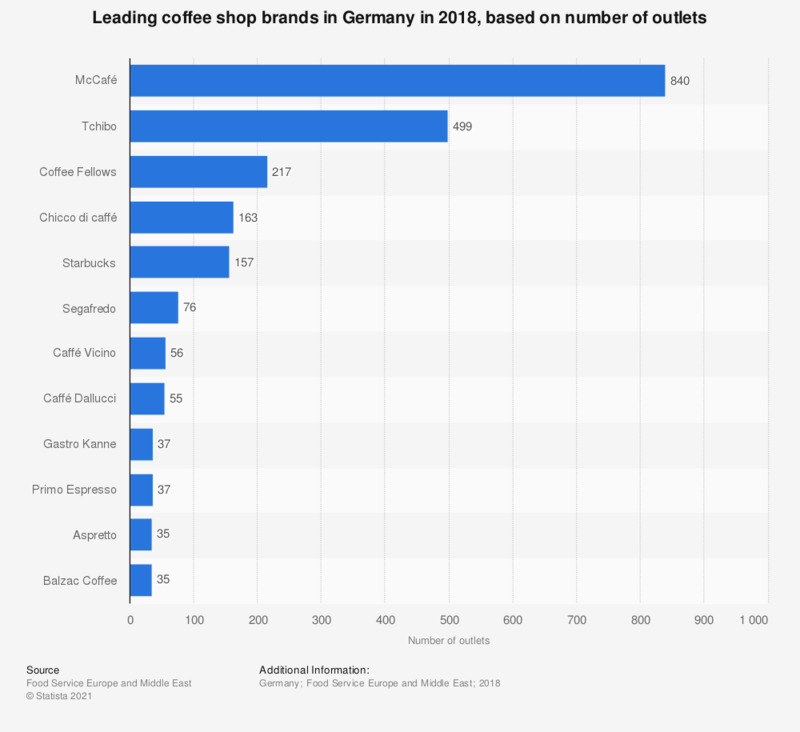 This statistic shows the leading coffee shop brands in Germany based on number of outlets in 2018. McCafé was most prevalent with 840 outlets across Germany. This was followed by Tchibo and Coffee Fellows.